“Well, it wasn’t good enough. Well, she didn’t mean it,” blah, blah. At some point it obfuscates what really is happening here. These things happen like clockwork. There is an entire left-wing apparatus set up to run these operations. And the ultimate objective for all of these — and Bill Jacobson, William Jacobson, Legal Insurrection, writes about this today, and he has a great term for what this actually is, and it is the attempt to deplatform American conservatives, take away conservative platforms, take away Fox News, not just a couple of hosts, but just get rid of the whole entity. Get rid of the EIB Network. The EIB Network is one person. That is me. But wherever the platforms are, be they social media, be they Fox News, cable news, be they radio, podcasts, whatever, the objective, the long-term objective is not to debate conservatives and it’s really not to force conservatives to behave the right way. That’s not what this is about. 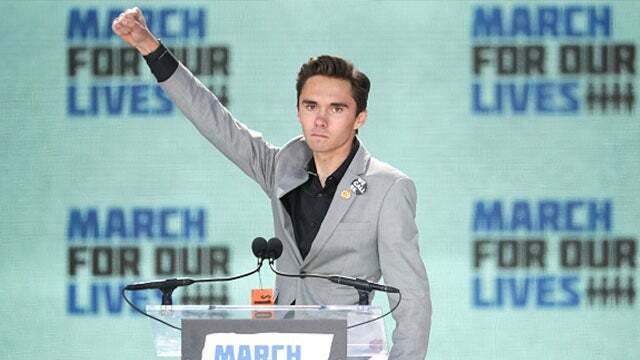 I mean, if it were about that, for example, at some point Camera Hogg would be satisfied with whatever apology and attention he’s getting and going away. That’s what Camera Hogg’s doing, or his advisers, whoever is telling him to do this, because with every conservative response to every complaint Camera Hogg has he doubles down to the intensity and on the allegations and nothing’s good enough for him. Just like with Rubio. Rubio, the one Republican that showed up at the CNN town hall, the one Republican who’s tried to meet these kids and their adult sponsors halfway, to come up with some kind of compromise on guns and schools, look what happens! They target Rubio like he’s the most obstinate opponent they’ve got. They don’t want any part of any compromise. And they have to kill, in a political since, they’ve gotta kill any Republican that offers compromise. The last thing in the world these people are gonna do is accept a half measure or a compromise. That’s not what they want. They want total absolution, and that means the confiscation of guns. They want the end of Fox News, not just a couple of hosts to get fired. And that’s what all of this is about, and it always has been. It’s not about crossing the aisle, meeting them halfway or finding areas in common where we can work together, bipartisanship, all of that. That’s just the cover for it. It’s the long-term objective to just eliminate conservatism as any kind of competitor. And if you keep that perspective in mind every time you follow one of these stories about some supposed conservative who said something outrageous and needs to apologize for it or this or that, keep in mind what the real objective is. 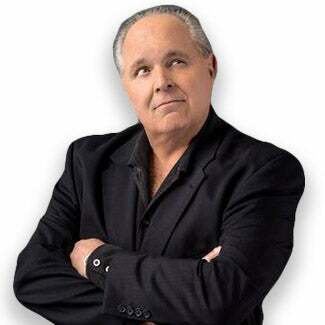 It’s not to straighten that conservative out, not to make that conservative fly right, straighten up and fly right, not to make that conservative apologize. It’s to get rid of. And this is what’s always amazed me when these things happen. The whole of the conservative movement does not arise to defend those under assault. I’ll just tell you, many in the conservative movement say to themselves, “Wow, thank God it’s not me” and shut up and hope they don’t become targets. And if other conservatives are lost in the battle, fine, as long as it’s not them. But you will not see a robust movement-wide defense of anybody under assault. And in fact the weakest conservatives will join the critics trying to gain favor with the critics, trying to be exempted from the target area of the critics! And it is what we are in the midst of now, and illegal immigration, guns, whatever the issue is, that is the ultimate objective, is the elimination of, in this case, conservatives and platforms, in the case of immigration, the destruction of the distinct, unique American culture, ’cause they’re people that don’t like this country. It’s not that they want to reform it. Reform, in my book, means to improve, and that’s not what these people have in mind. Daily Wire: CNN's Joan Walsh Attacks Parkland Survivor Kyle Kashuv. Guess It's Time For Another Boycott!